With the global economy going through a tough economic time, countries are competing against each other to attract businesses and tourists. Let's take a look at 30 most competitive nations in the world, according to the Global Competitiveness Report 2012-2013. Switzerland retains its first place position again this year as a result of its continuing strong performance across the board. The country's most notable strengths are related to innovation and labour market efficiency, where it tops the GCI rankings, as well as the sophistication of its business sector, which is ranked second. 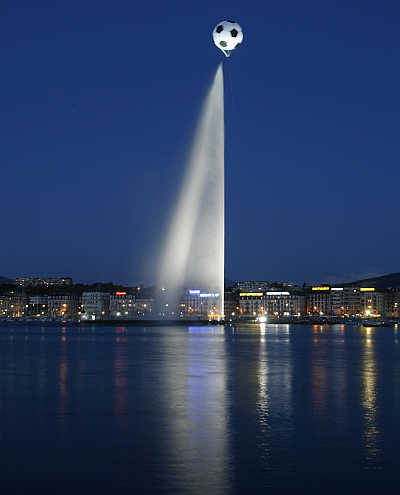 Image: A giant helium-inflated soccer ball flies over the jet d'eau, or water fountain, at the Lac Leman in Geneva, Switzerland. Singapore retains its place at second position as a result of an outstanding performance across the entire Index. The country features in the top three in seven of the 12 categories of the Index and appears in the top 10 of three others. Its public and private institutions are rated as the best in the world for the fifth year in a row. It also ranks first for the efficiency of its goods and labour markets, and places second in terms of financial market development. Image: A view of Singapore's Financial District. Finland moves up one place since last year to reach third position on the back of small improvements in a number of areas. Similar to other countries in the region, the country boasts well-functioning and highly transparent public institutions (second), topping several indicators included in this category. Its private institutions, ranked third overall, are also seen to be among the best run and most ethical in the world. 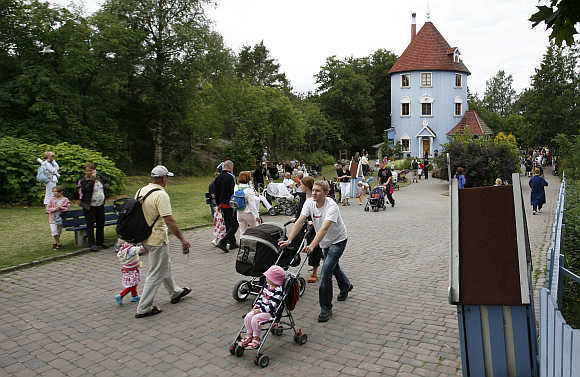 Image: Visitors walk down the main street at Moomin World theme park in Naatali, Finland. Sweden, overtaken by Finland, falls one place to fourth position. Like Switzerland, the country has been placing significant emphasis on creating the conditions for innovation-led growth. The quality of its public institutions remains first-rate, with a very high degree of efficiency, trust, and transparency. Private institutions also receive excellent marks, with firms that demonstrate excellent ethical behaviour. Nevertheless, there was a slight but consistent deterioration in the country's institutional framework over the past three years. 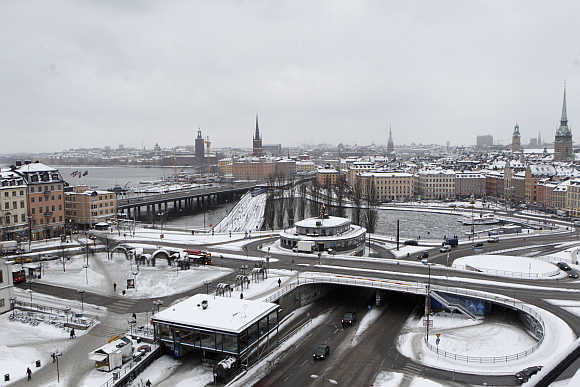 Image: A view of Stockholm, Sweden. The Netherlands continues to progress in the rankings, moving up to fifth place this year. The improvement reflects a continued strengthening of its innovative capacity as well as the heightened efficiency and stability of its financial markets. Overall, Dutch businesses are highly sophisticated (fourth) and innovative (ninth), and the country is rapidly and aggressively harnessing new technologies for productivity improvements (ninth). 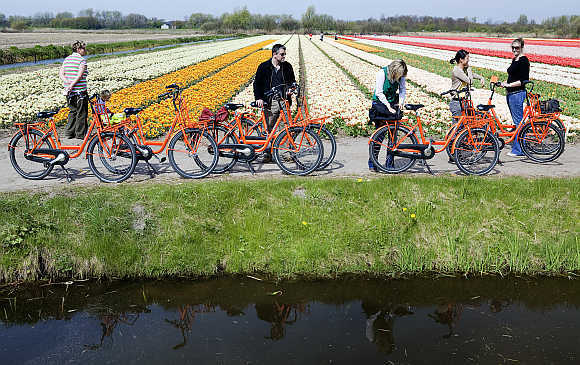 Image: Cyclists visit a Dutch tulip field in Noordwijk, the Netherlands. Germany maintains its position at sixth place this year. The country is ranked an excellent third for the quality of its infrastructure, boasting in particular firstrate facilities across all modes of transport. The goods market is quite efficient, characterized by intense local competition (eighth) and low market dominance by large companies (second). Germany's business sector is very sophisticated, especially when it comes to production processes and distribution channels, and German companies are among the most innovative in the world. 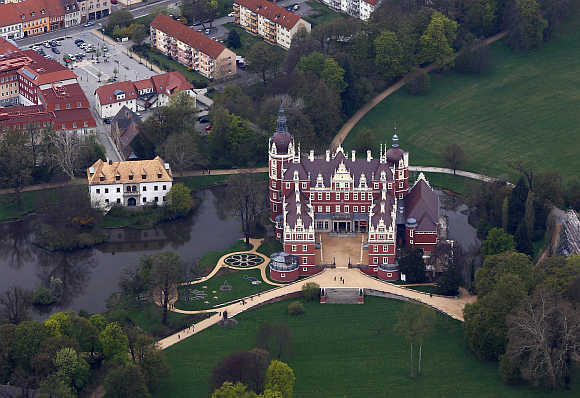 Image: A palace in the world heritage site Fuerst Pueckler Park in Bad Muskau, near the Polish border, in Saxony, Germany. The United States continues the decline that began a few years ago, falling two more positions to take seventh place this year. Although many structural features continue to make its economy extremely productive, a number of escalating and unaddressed weaknesses have lowered the US ranking in recent years. US companies are highly sophisticated and innovative, supported by an excellent university system that collaborates admirably with the business sector in R&D. 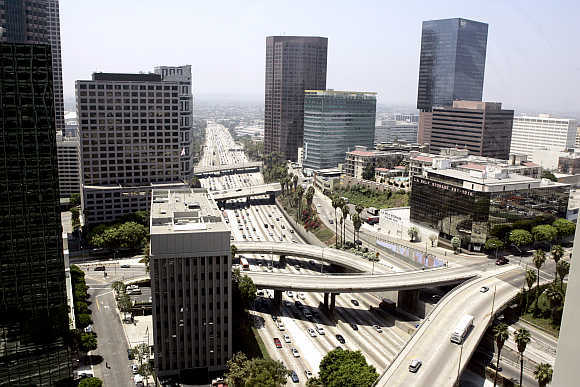 Image: Harbor Freeway in downtown Los Angeles, United States. The United Kingdom continues to make up lost ground in the rankings this year, rising by two more places and now settling firmly back in the top 10. The country improves its performance in several areas, benefitting from clear strengths such as the efficiency of its labour market (fifth), in sharp contrast to the rigidity of those of many other European countries. 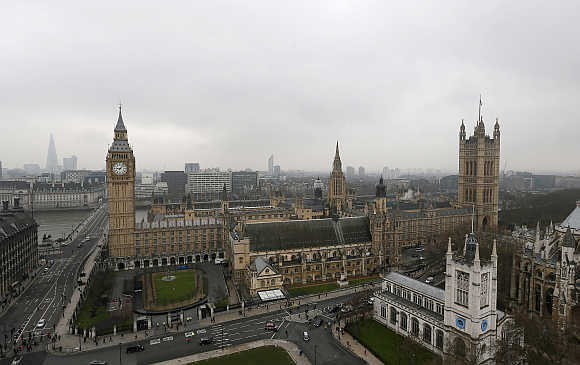 Image: Houses of Parliament in central London, United Kingdom. As the second-placed Asian economy behind Singapore (second), Hong Kong SAR rises to ninth position while slightly improving its score. The territory's consistently good performance is reflected in very good showing across most of the areas covered by the GCI. As in previous years, Hong Kong tops the infrastructure pillar, reflecting the outstanding quality of its facilities across all modes of transportation and its telephony and electricity infrastructure. 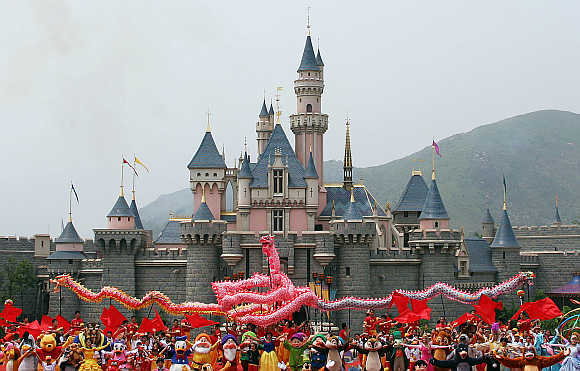 Image: Disney characters perform in front of the Sleeping Beauty Castle in Hong Kong. Japan falls one place to rank 10th this year, with a performance similar to that of last year. The country continues to enjoy a major competitive edge in business sophistication and innovation, ranking first and fifth, respectively, in these two pillars. Company spending on R&D remains high (second) and Japan benefits from the availability of many scientists and engineers buttressing a strong capacity for innovation. 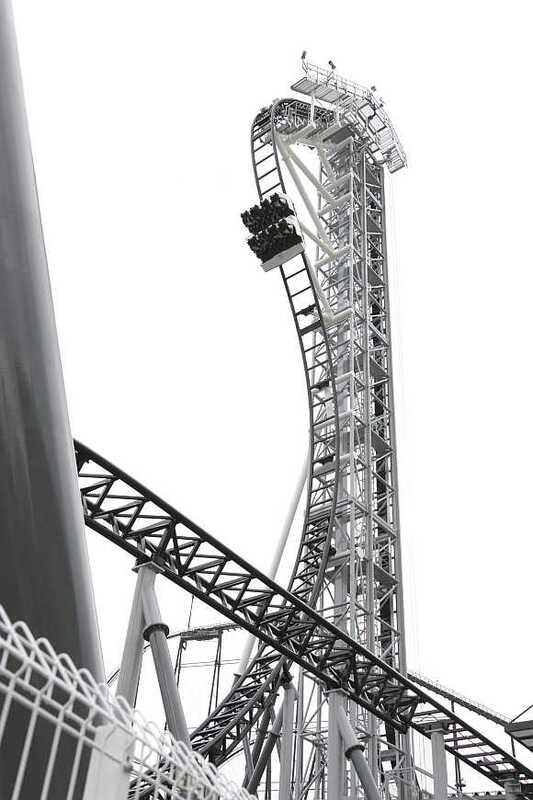 Image: World's steepest roller coaster 'Takabisha' with a free falling angle of 121 degrees at Fuji-Q Highland amusement park in Fujiyoshida, west of Tokyo, Japan. Qatar reaffirms once again its position as the most competitive economy in the region by moving up three places to 11th position, sustained by improvements in its macroeconomic environment, the efficiency of its markets for goods and services, and its institutional framework. Its strong performance in terms of competitiveness rests on solid foundations made up of a high-quality institutional framework, a stable macroeconomic environment (second), and an efficient goods market (10th). 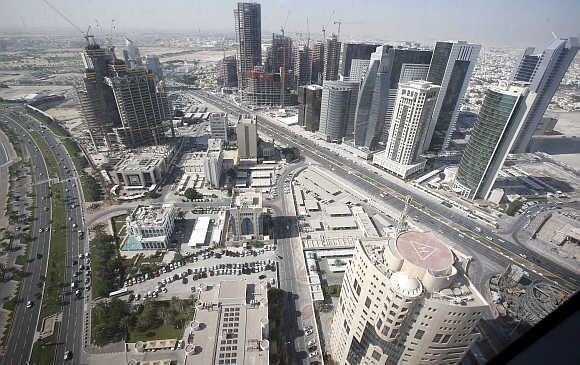 Image: A view of Doha in Qatar. Denmark loses four positions this year, placing 12th, with a weakening in the assessments of its institutions and financial markets. Similar to its Nordic neighbors, the country benefits from one of the best functioning and most transparent institutional frameworks in the world (14th), although there has been some decline in this area since last year. 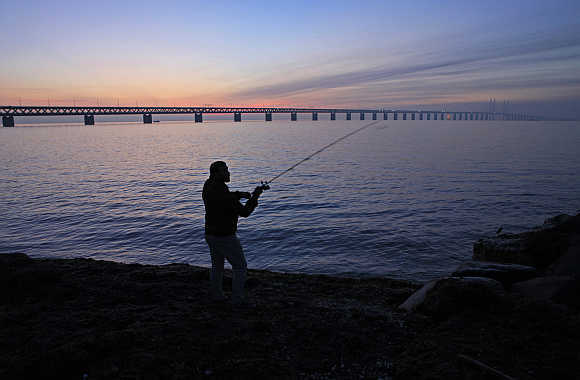 Image: A view of Oresund Bridge, which links the city of Malmo in Sweden to Copenhagen, the capital of Denmark, stretches for 7,845 metres. Taiwan maintains its 13th position for the third year in a row. Its competitiveness profile is essentially unchanged and consistently strong. Notable strengths include its highly efficient markets for goods, where the economy ranks eighth; its solid educational performance (ninth); and its sophisticated business sector (13th), which is inclined to innovate (14th). 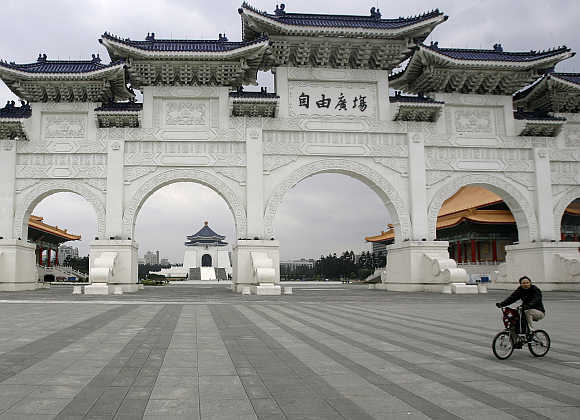 Image: Chiang Kai-shek Memorial Hall in Taipei, Taiwan. Canada falls two positions to 14th place in this year's rankings. Although Canada continues to benefit from highly efficient markets (with its goods, labour, and financial markets ranked 13th, 4th, and 11th, respectively), well-functioning and transparent institutions (11tht), and excellent infrastructure (13th), it is being dragged down by a less favourable assessment of the quality of its research institutions and the government's role in promoting innovation through procurement practices. 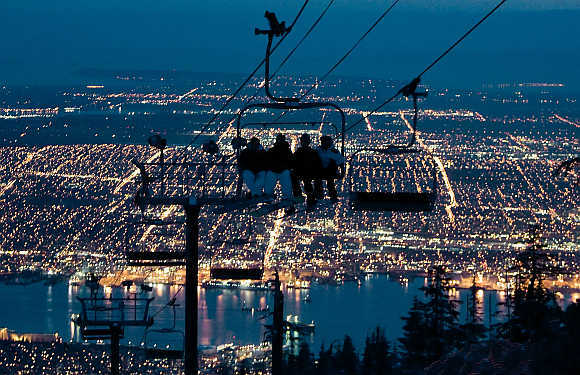 Image: Snowboarders ride a chair lift on one of the many snow runs during night skiing on Grouse Mountain with the city of Vancouver, British Columbia down below, in Canada. Norway is ranked 15th this year, up by one place and showing progress in a number of areas. Specifically, the country features a notable improvement in its innovative capacity (up from 20th to 15th place), driven by improved R&D spending by business, a better collaboration between the business sector and academia, and increased government procurement of advanced technological products. 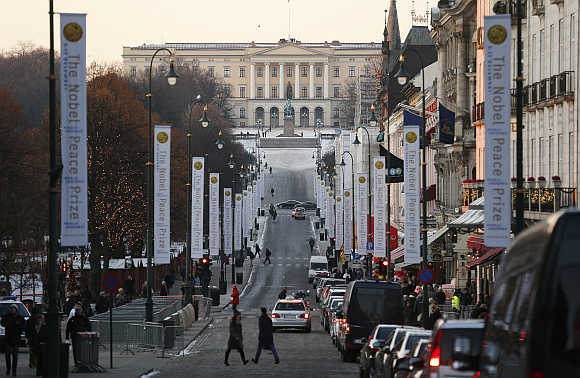 Image: Royal Palace at the end of Karl Johans Gate in Oslo, Norway. Austria is ranked 16th this year, up three places since last year, with small improvements across a number of areas. The country benefits from excellent infrastructure (15th) and registers improvements in its innovation capacity (up three places from last year) on the back of resilient R&D spending and improvements in the business sophistication pillar (up one place for business sophistication). 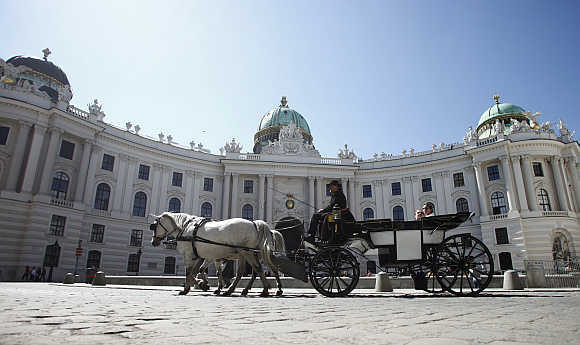 Image: A Fiaker horse carriage passes Hofburg Palace in Vienna, Austria. Belgium is ranked 17th, down two ranks since last year. The country has outstanding health indicators and a primary education system that is among the best in the world (second). Belgium also boasts an exceptional higher education and training system (fourth), with excellent maths and science education, top-notch management schools, and a strong propensity for on-the-job training that contribute to an overall high capacity to innovate (11th). 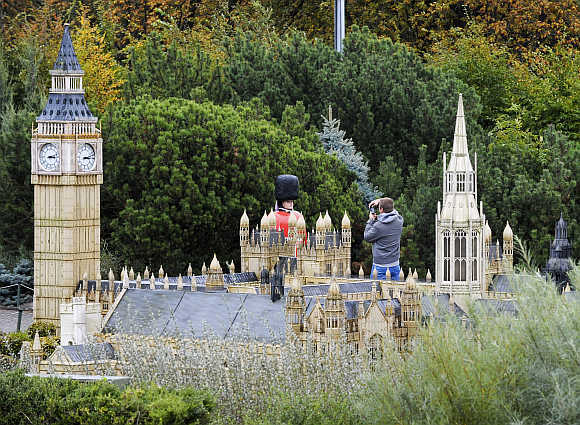 Image: A tourist takes a picture of a model of an English guard in front of a miniature reproduction of the Buckingham Palace in the Mini-Europe park, where all the models are built at a scale of 1:25, in Brussels, Belgium. Saudi Arabia maintains the second-best place in the region and falls by one position from 17th to 18th position overall. The country has seen a number of improvements to its competitiveness in recent years that have resulted in a solid institutional framework, efficient markets, and sophisticated businesses. Higher macroeconomic stability (sixth) and more prevalent use of ICT for productivity improvements contribute to maintaining Saudi Arabia's strong position in the GCI. 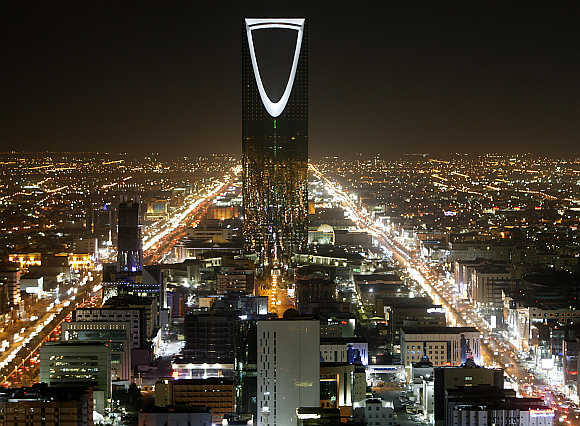 Image: Kingdom Tower in Riyadh, capital of Saudi Arabia. Reversing the negative trend of recent years, South Korea (19th) advances five positions and re-enters the top 20. Despite this clear improvement, the assessment remains uneven across the 12 pillars of the Index. The country boasts outstanding infrastructure (ninth) and a sound macroeconomic environment (10th), with a government budget surplus above two per cent of GDP and low level of public indebtedness. 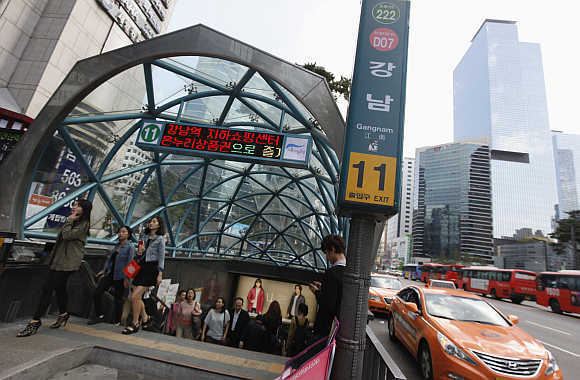 Image: Gangnam subway station in Seoul, South Korea. After losing four positions to faster-improving economies last year, Australia retains its rank of 20th and score of 5.1, just behind South Korea. Among the country's most notable advantages is its efficient and well-developed financial system (eighth), supported by a banking sector that counts as among the most stable and sound in the world, ranked fifth. The country earns very good marks in education, placing 15th in primary education and 11th in higher education and training. 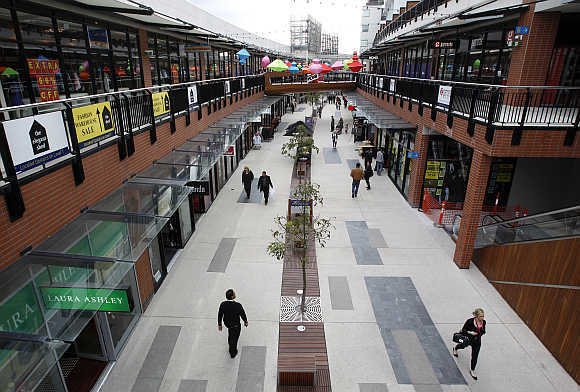 Image: An outdoor shopping mall in Melbourne, Australia. France is ranked 21st, down three places from last year on the back of falling confidence in public and private institution (down four places) and the financial sector (down 13 places in trustworthiness). On a positive note, the country's infrastructure is among the best in the world (fourth), with outstanding transport links, energy infrastructure, and communications. 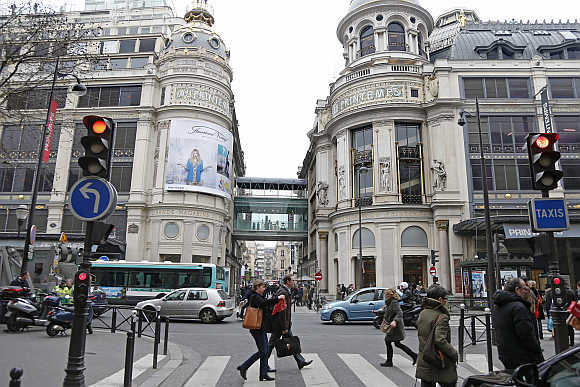 Image: Printemps department store in Paris, France. Europe is overall the most "equal" region in terms of income. The European social model places 18 countries in the top 20 for the lowest income Gini index indicator. However, on a broader scale, the social sustainability of Europe shows a divide similar to that of its internal competitiveness. 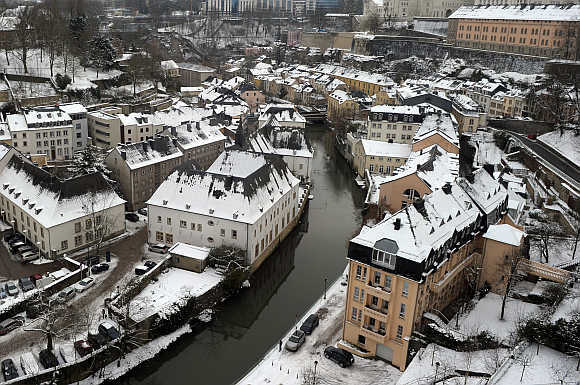 Image: Petrusse River near old fortifications of Luxembourg. In contrast, New Zealand, with its strongly articulated political commitment to environmental stewardship, receives a positive assessment for its environmentally sustainable competitiveness. It also performs better than neighboring Australia. 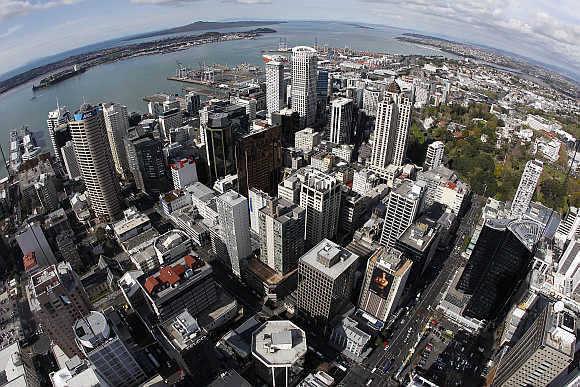 Image: A view of Auckland from atop the Sky Tower in New Zealand. The United Arab Emirates gains three places in the GCI to take the 24th position. The improvement reflects a better institutional framework as well as greater macroeconomic stability. Higher oil prices buoyed the budget surplus and allowed the country to reduce public debt and raise the savings rate. Image: A view of Burj Khalifa from Al Qasr Hotel in the Old Town in downtown Dubai, United Arab Emirates. Following improvements in last year's Report, Malaysia maintains its score but drops four places as other economies move ahead. The most notable advantages are found in Malaysia's efficient and competitive market for goods and services (11th) and its remarkably supportive financial sector (sixth), as well as its business-friendly institutional framework. 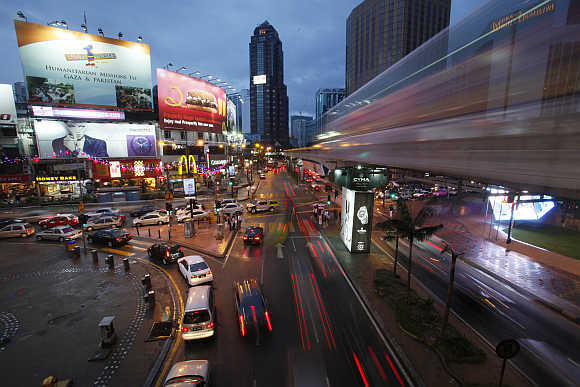 Image: A view of Bukit Bintang shopping district in Kuala Lumpur, Malaysia. Israel falls by four places to 26th in this year's GCI, reversing its upward trend of previous years. The country's main strengths remain its world-class capacity for innovation (third), which rests on highly innovative businesses that benefit from the presence of the world's best research institutions geared toward the needs of the business sector. 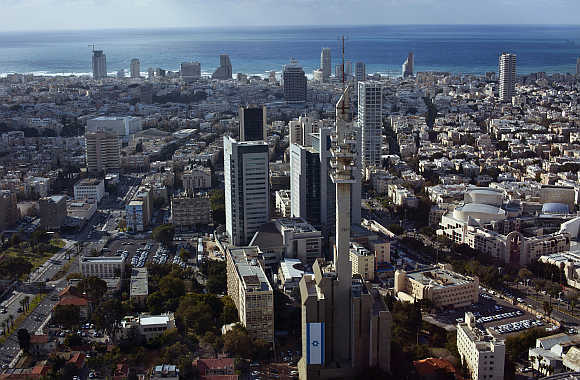 Image: A view of central Tel Aviv backed by the Mediterranean Sea in Israel. Ireland moves up by two positions to 27th place this year after falling in recent editions of the Report. The country continues to benefit from a number of strengths, including its excellent health and primary education (12th) and strong higher education and training (20th), along with its well-functioning goods and labor markets, ranked 9th and 16th, respectively. 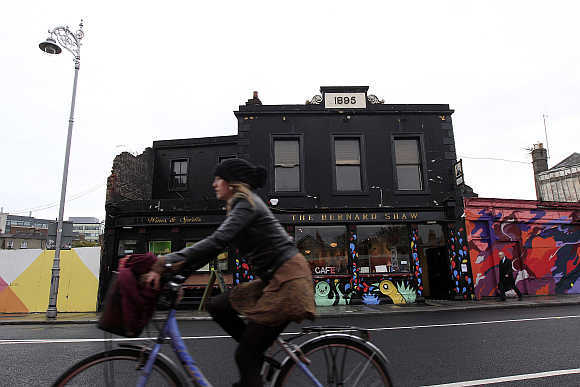 Image: A woman cycles past the 'Coffee To Get Her' restaurant near Dublin city centre, which becomes a bar and club in the evenings, in Ireland. The income Gini index measures the extent to which the distribution of income among individuals or households within an economy deviates from a perfectly equal distribution. Theoretically, it measures inequality within a range of 0 to 100, where a value of 0 represents perfect equality (everyone has the same income) and a value of 100 perfect inequality (for example, one person or household could earn all the income). 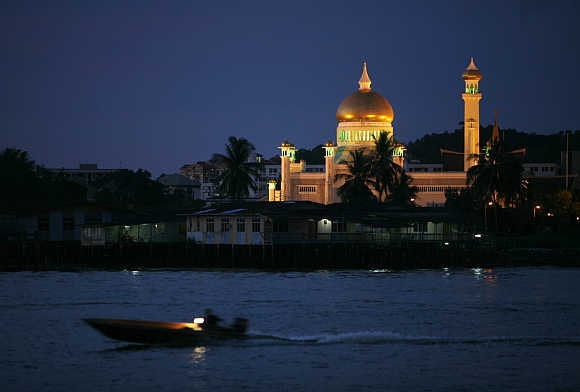 Image: A water taxi passes the Sultan Omar Ali Saifuddien Mosque in Bandar Seri Begawan, Brunei. China (29th) loses some ground in this year's edition of the Report. After five years of incremental but steady progression, it has now returned to its 2009 level. The country continues to lead the BRICS economies by a wide margin. Although China's decline is small - its overall score barely changes - it affects the rankings of every pillar of the GCI except market size. 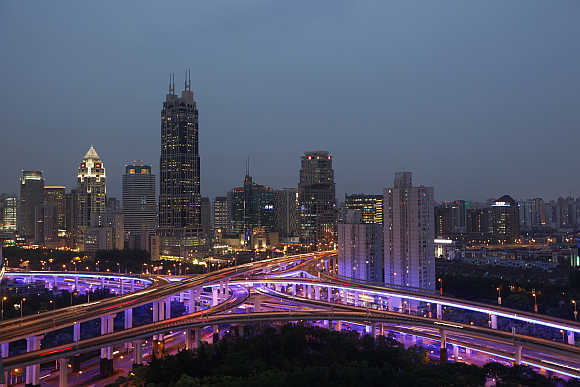 Image: An aerial view shows vehicles travelling on intersections at night in downtown Shanghai, China. Iceland maintains its place at 30th position this year. Despite difficulties in recent years, Iceland continues to benefit from a number of clear competitive strengths in moving to a more sustainable economic situation. These include the country's top-notch educational system at all levels (sixth and 13th in the health and primary education and higher education and training pillars, respectively) coupled with an innovative business sector (20th) that is highly adept at adopting new technologies for productivity enhancements (eighth). 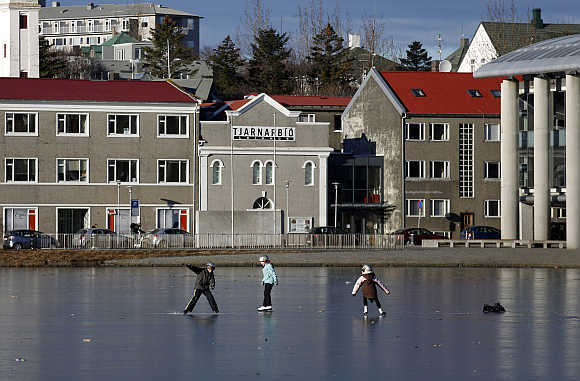 Image: Children skate on the ice of the frozen Tjoernin lake in central Reykjavik, Iceland.